Osteoporosis is often called a ‘silent disease’ as bone loss happens gradually over time, without any symptoms. If you have a family history of osteoporosis, have coeliac disease, or are a post-menopausal woman, you may be at increased risk. In Ireland osteoporosis currently remains woefully unrecognised, and yet it is preventable and treatable. We now have a situation where one in two women will get osteoporosis, compared to one in nine for breast cancer, and osteoporosis is not just a matter of brittle bones. It can kill. In fact, it is a bigger female killer than ovarian, cervical, and uterine cancers combined. Yet we have a national screening plan for breast cancer and nothing for osteoporosis. It can be a symptomless, silent, and life changing illness. Are you at risk? Do want to learn more about how to prevent and reverse osteoporosis from the experts? 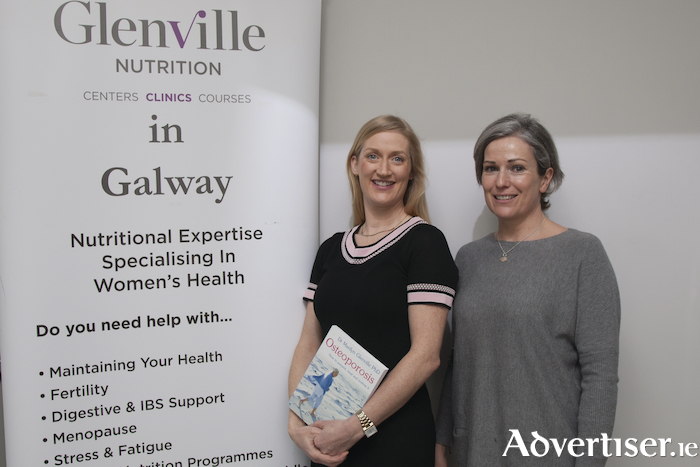 Galway nutritionist Sorcha Molloy is teaming up with chartered physiotherapist Ruth Molloy to deliver a one-day workshop called Osteoporosis – how to prevent and treat it with exercise and nutrition. This workshop will take place in the Harbour Hotel on Saturday March 24 from 10am to 5pm. This course offers a wealth of knowledge and practical take home tips on prevention and treatment for those at risk of or who have been diagnosed with osteopenia and osteoporosis.